If you are self-conscious because your ears stick out too far, you are not alone. The problem of prominent or protruding ears is surprisingly common and it is a trait that often runs in families. Talk to Indianapolis board certified plastic surgeon Dr. Joseph Fata and find out how to correct this problem with the procedure of ear surgery. Protruding ears are a common sight that occurs through a trait that is inherited. Unfortunately, it ican be a source of cruel teasing that begins in childhood. Prominent ears are the result of a failure of the ear to fold back during development before birth, and they can be corrected through an otoplasty. 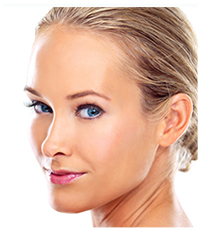 Please call Renaissance Plastic Surgery at 317-575-9152 to learn about ear surgery options in Indianapolis. In an otoplasty, the ear cartilage is reshaped through incisions hidden behind the ear to recreate the natural fold that holds the ear close to the head, and this new shape is maintained with permanent internal stitches. If the cup of the ear is too large, it can be reduced as well. Dr. Fata performs ear surgery in an outpatient setting at the Carmel Ambulatory Surgery Center in Carmel, Indiana, conveniently located near his Indianapolis, Indiana office. An otoplasty can be performed on children above the age of six, and it is often performed on adults. Although Otoplasty requires a general anesthesia in children, it can be performed under local or "twilight" anesthesia in adults. The results are expected to be permanent. Patients are discharged with a “wrap-around” ear dressing, which helps mold the shape of the ear, and this dressing is left on for one week. During the second week an elastic head band is worn while at home and by the third week, the head band is used only when sleeping. Pain is generally mild and easily controlled, and the amount of bruising and swelling are typically minimal. The only restrictions are no heavy lifting or strenuous exercise for two weeks. Most patients stay off work until the dressings are removed, but it is possible to return sooner. The approximate cost of an ear surgery is $4,875, which includes Dr. Fata’s surgeon fee, the anesthesiologist and surgery center fee, and all follow-up care by Dr. Fata. In some adults, otoplasty surgery can be performed with a local anesthesia and sedation, which will reduce the overall cost. 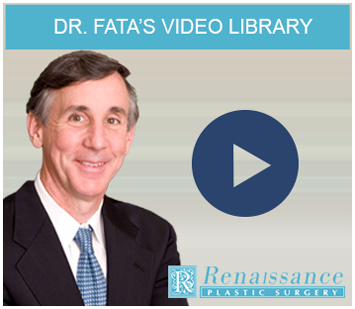 Dr. Joseph Fata performs otoplasty surgery on his patients in Indianapolis and Carmel, Indiana. To assist you as you gather information on otoplasty, Dr. Fata has compiled a list of Frequently Asked Questions based on his extensive experience with patients who have had an otoplasty. For more information about the ear surgery procedure, please contact Renaissance Plastic Surgery online or call 317-575-9152 today. Dr. Fata serves patients in and around Indianapolis, Carmel, and other areas of Indiana and the entire Midwest.